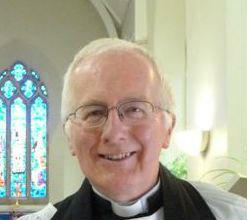 Rev Clive Main has been Team Rector of Hackney Marsh since October 2012. Within the team, he has responsibility for St Barnabas Church on Homerton High Street. Previously, Clive was vicar of St Augustine's Highbury. He is married to Judith, a GP, and they have two children Anna (27), who is married to Chris, and Barney (25), who is married to Emily.